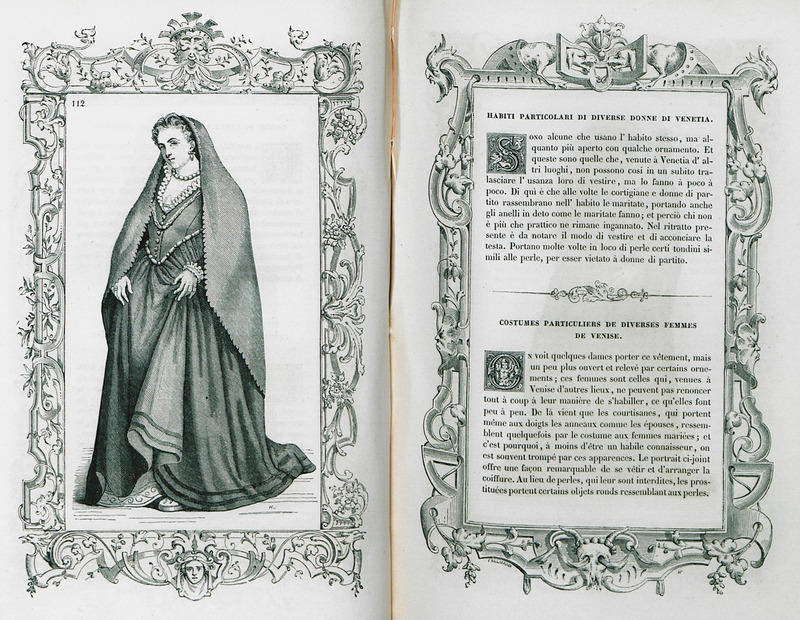 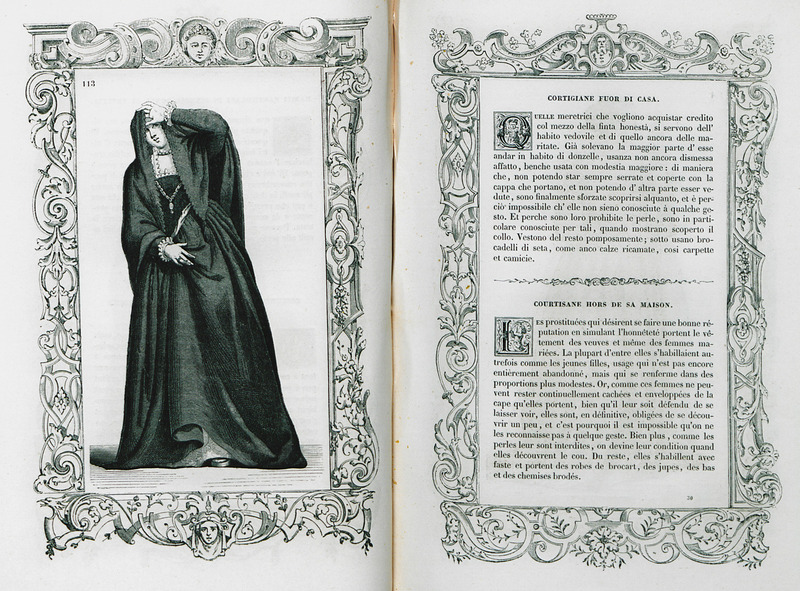 Costume of prostitute from Rome, at the time of Pope Pius V (mid sixteenth-century). 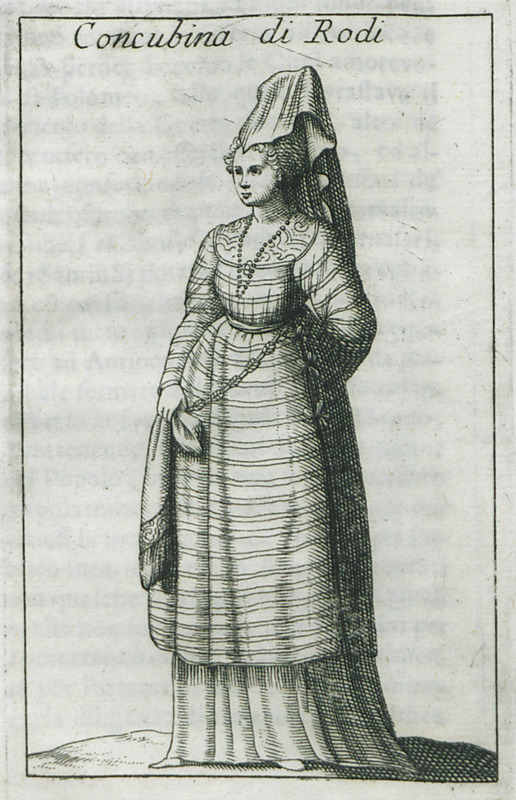 Costume of prostitute from Rome, end of sixteenth-century. 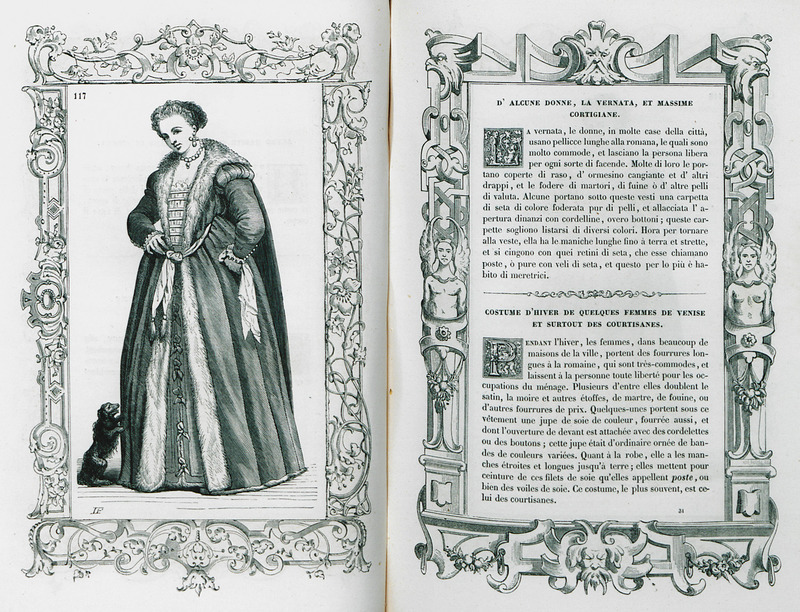 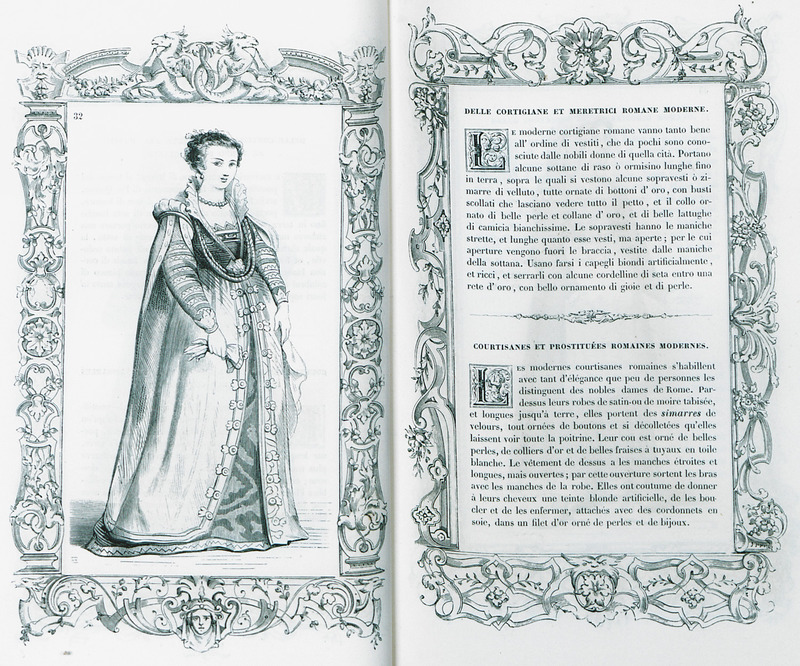 Costume of women that do not originate from Venice, or prostitutes. 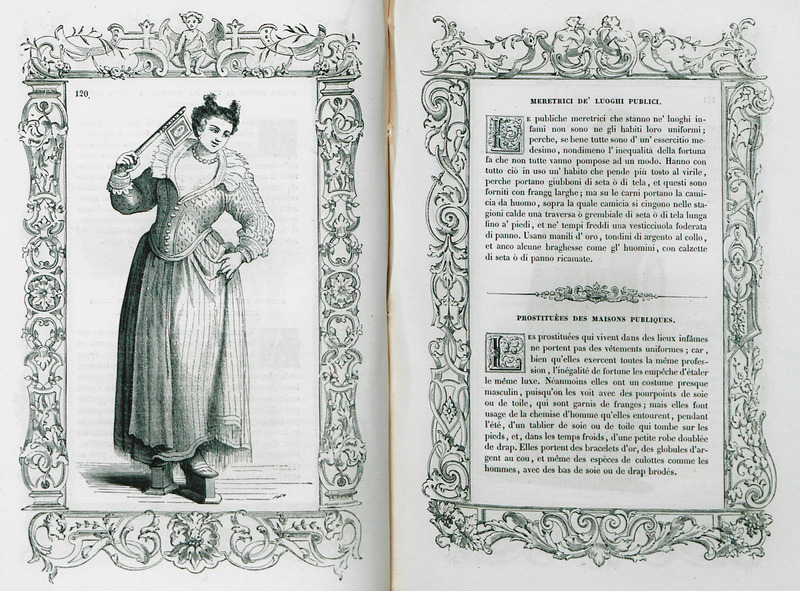 Public outfit of Venetian prostitute. 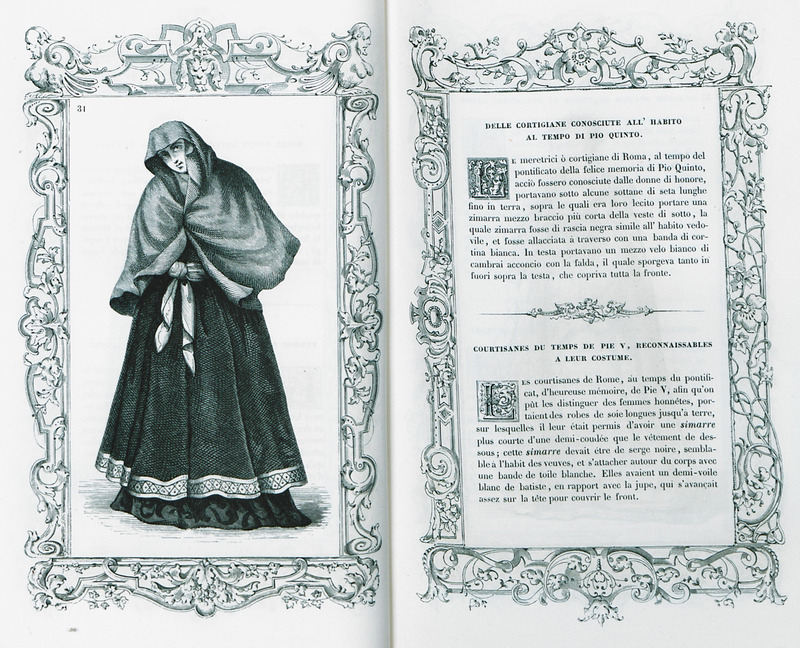 Winter costume of Venetian courtesan. 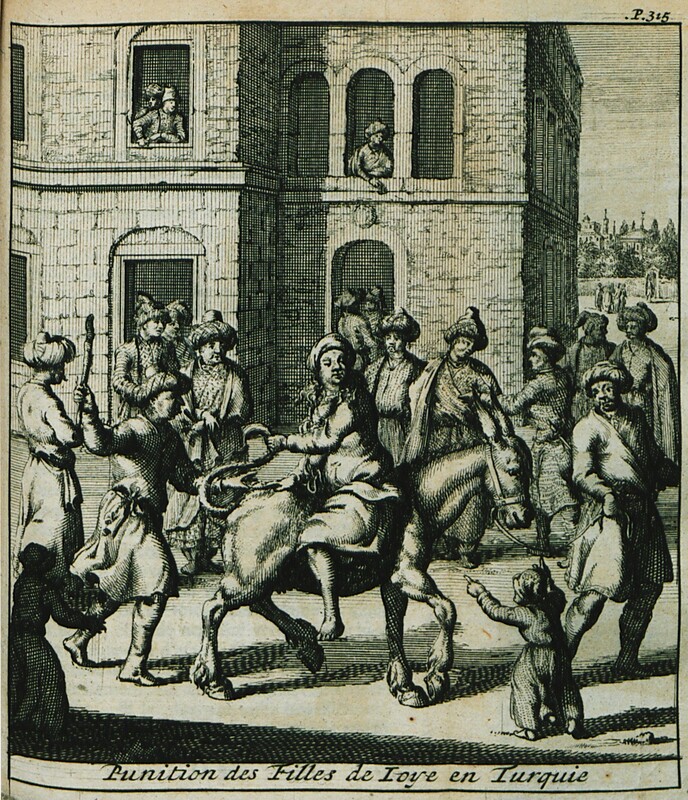 Penalty imposed to prostitutes in the Ottoman empire.